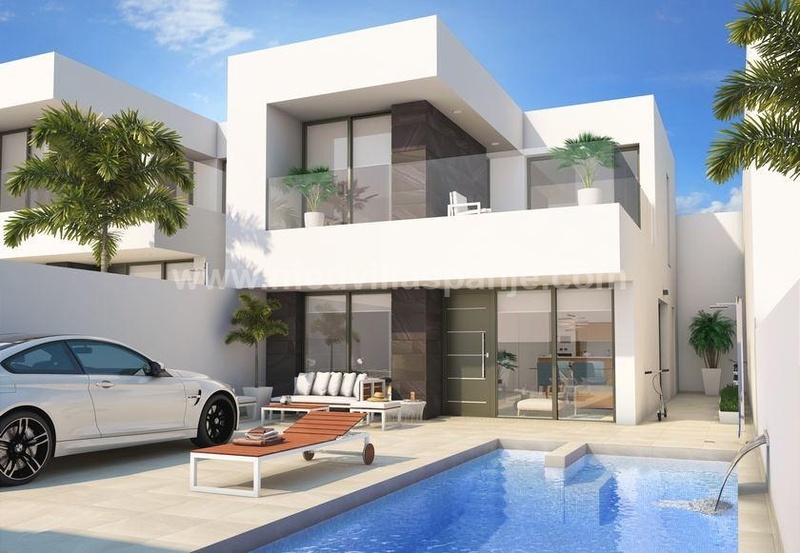 These exclusive apartments with sea view are situated on one of the most exclusive golf courses in Spain near Orihuela Costa. In the highest area they build beautiful apartments on this resort that offer a magnificent view of the gulf, the green landscape, the coast and surrounding mountains. The apartments have 2 bedrooms and 2 bathrooms as standard. In order to preserve the unobstructed view of the breathtaking landscape, these houses have been provided with large sliding windows that connect the living and dining room directly to the private garden or terrace. All apartments have an underground parking space and a storage room with direct access to the house.